Crystals have been used for centuries for their healing and growth properties with gardens and plants. The electromagnetic energy generated by some crystals is conducive to plant growth and acts as a safe and natural vitamin. Improved growth, plant strength and health are just some of the benefits associated with using a quartz crystal to promote plant growth. Place quartz crystals around the garden. The largest crystal should be placed in the center of the garden. Ideally, half of the crystal would be above the soil and half below. This ensures that both the roots and stalk receive the same level of energy. Create a protective field around the garden and harness the energy of the poles by placing quartz crystals in the four corners of the garden--north, south, east and west. Help injured or unhealthy plants by burying a quartz crystal in the earth at the base of the stalk near the roots. This will help the plant receive new healing energy to grow. Soak quartz crystals in water for at least an hour in the sun. Use that water to water the plants or spray them with it. 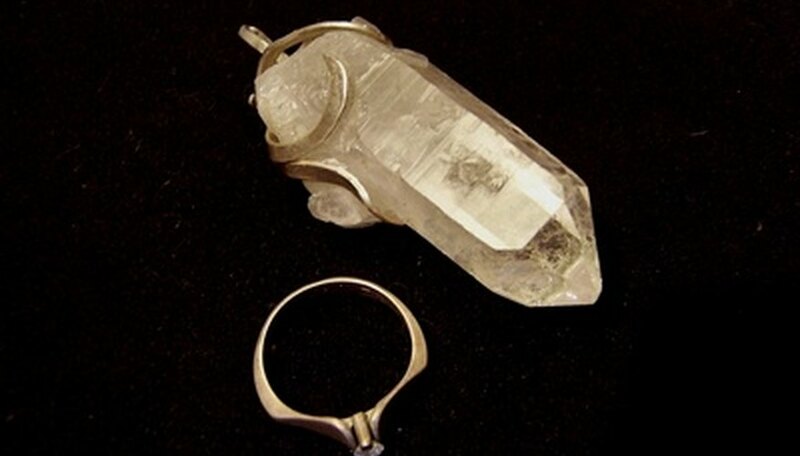 The energy of the crystals will affect the water and magnetize it with the quartz energy. Place one quartz crystal below the soil near the roots of a plant and another above the soil to ensure maximum efficiency. Use other crystals along with quartz to further help plants. There are many other crystals, such as moss agate, which aid in plant growth.